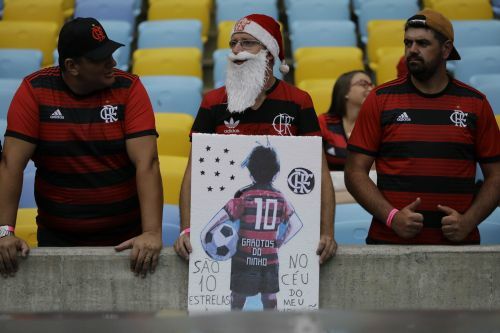 RIO DE JANEIRO (AP) — Brazilian soccer club Flamengo played its first match since the fire that killed 10 of its academy players at its training ground Feb. 8, losing 1-0 to rival Fluminense on Thursday night. Nearly 30,000 fans, many with white balloons, banners and flags, attended the state championship match. The game was initially scheduled for Saturday, only hours after the deadly incident. Flamengo soccer club fire in Brazil: bad luck or negligence?